Maria Pace graciously designed this amazing artwork on behalf of StreamSweepers for the 2016 season. During the ecological assessment phase of their work, StreamSweepers count the River Chub Minnow nests they find in the riverbed (check out this video of chub making a nest). Maria’s “minnows” are just a glimmer of the nature inspired art she creates daily. It’s wonderful to walk past her storefront when one can’t be out enjoying nature as Maria brings nature to us through her work. Her designs are printed on everything from dish towels to wall paper and nightgowns. To see more of Maria’s work you can look at her website, but better yet, stop by her store and you’ll get to meet a wonderful person. Thanks Maria! StreamSweepers 2016 note cards and t-shirts are available for purchase by calling our office at (540) 672-2542. They will be available at the Picnic this Sunday, May 22nd. Supporters who donate $100 will receive a set of note cards and those who donate $250 will receive a t-shirt. Original Designs by Maria Pace, 132 West Main Street, Orange, VA, 22960. Join us for a picnic lunch in the Restored Barn at Rounton Farm on Sunday May 22nd from Noon – 2 pm. Meet your fellow riverside landowners and join the conversation on floodplain restoration options for properties of any size. Learn about our new endeavors, including a partnership with Virginia Working Landscapes of the Smithsonian’s Conservation Biology Institute . Lunch catered by Elmwood at Sparks and music provided by Scuffletown. Please register by May 10th by calling Debbie at (540) 672-2542 or email at debbie@naturalcapital.us. You can also purchase tickets below on our secure service ($20 each). Since 2013, StreamSweepers has assessed and cleaned the entire Rapidan and most of the Robinson River. We’ve developed first-hand knowledge of what the greatest prospects are for increasing the health of these rivers and we look forward to sharing this information with you. See you on the 22nd! IT’S NOT TOO LATE TO GIVE AND SHARE THIS OPPORTUNITY – GIVE LOCAL PIEDMONT EXTENDED UNTIL 7PM TONIGHT! This coming Tuesday, May 3, is Give Local Piedmont — a day to support the local non-profit organizations that strengthen and enrich our communities. Give Local Piedmont empowers every person to give back to their local community by supporting the organizations they care about with donations of $10 or more. Last year, nearly 3/4 of a million dollars was raised through Give Local Piedmont for the 135 participating groups, in just one day! Donations will be amplified with ongoing awards (power hours 6-7 am, 12-1 pm, 7-8pm) and bonus prizes . Again this year, the PATH Foundation (formerly the Fauquier Health Foundation) has agreed to match funds up to $100,000, so make sure you donate early in the day (starts at 12:01 am) to guarantee your contribution will be included in this match. Please share this link and support StreamSweepers to train and employ our local youth to do the hard and important work of cleaning our rivers. Thanks! StreamSweepers will be one of thousands of nonprofits across the nation raising money to improve the long-term outlook of our communities. 2015 Crewmembers Celebrating Rapidan Completion! 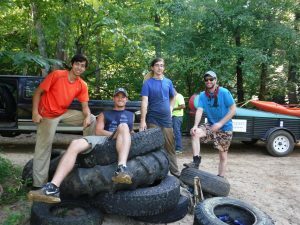 In 2015 StreamSweepers finished the promise begun 3 years ago to train and employ dozens of local young adults to sweep up garbage from the historic Rapidan River – all the way from Shenandoah National Park to Fredericksburg. 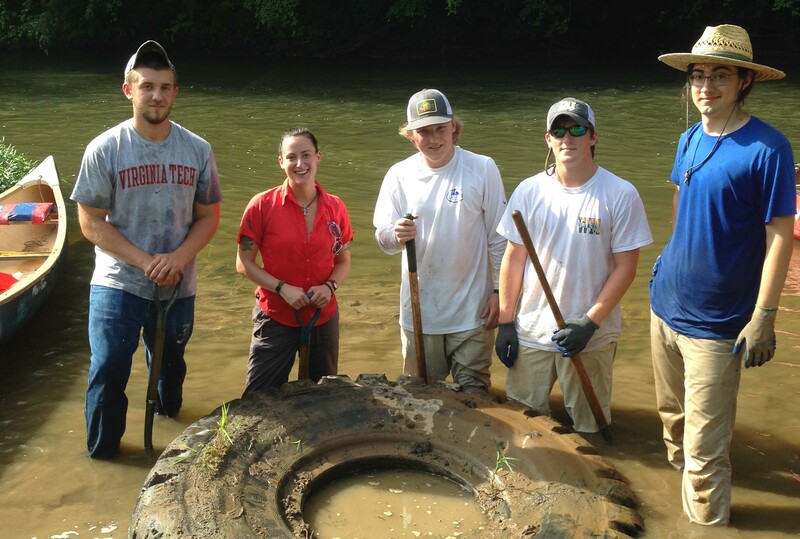 This unprecedented achievement is the first time a corps of local high school and college students has comprehensively cleaned and assessed the health of an entire river valley in Virginia history. These Sweepers are paid and insured employees and not volunteers . Their salaries are paid by “customers” or riverside landowners and donors that care about meaningful young adult employment opportunities and their local rivers. As we prepare to store our boats and equipment for winter, we’ve dreamed of what might lie ahead for the 2016 season. After years of river work, we now know that ongoing maintenance is needed because as unbelievable as it sounds, people continue to use our rivers as a dump. Therefore, we propose to transition to river maintenance, with Sweepers completing “light cleaning” of the 100 miles of both rivers in their entirety– in just one season! This is in contrast to the “deep cleaning” of past years, where we were only able to finish 40 miles in a season. Maintenance is also needed because we now know that tires and other trash leach harmful chemicals and our rivers are drinking water sources for thousands of Virginians. 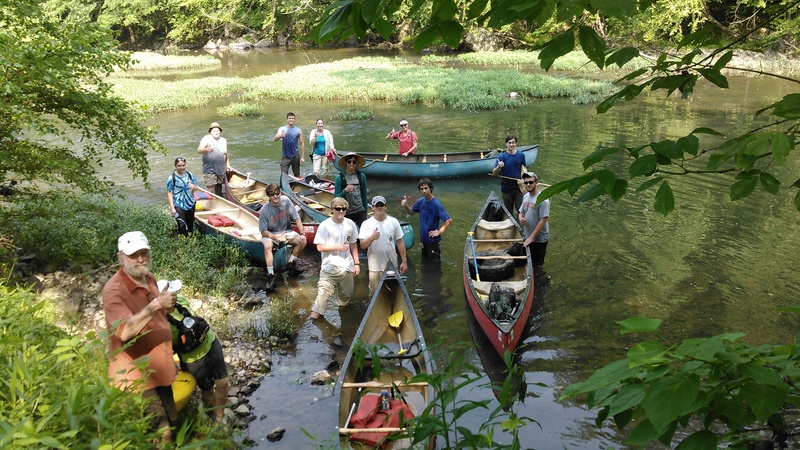 We also hope to tackle the beautiful Hughes River (a Virginia Scenic River) from its origins at Old Rag Mountain in Rappahannock County to its confluence with the Hazel River in Culpeper County. 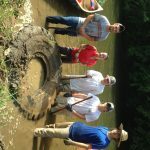 Please consider supporting our river restoration job corps program by making a tax deductible donation (online link below or by check). 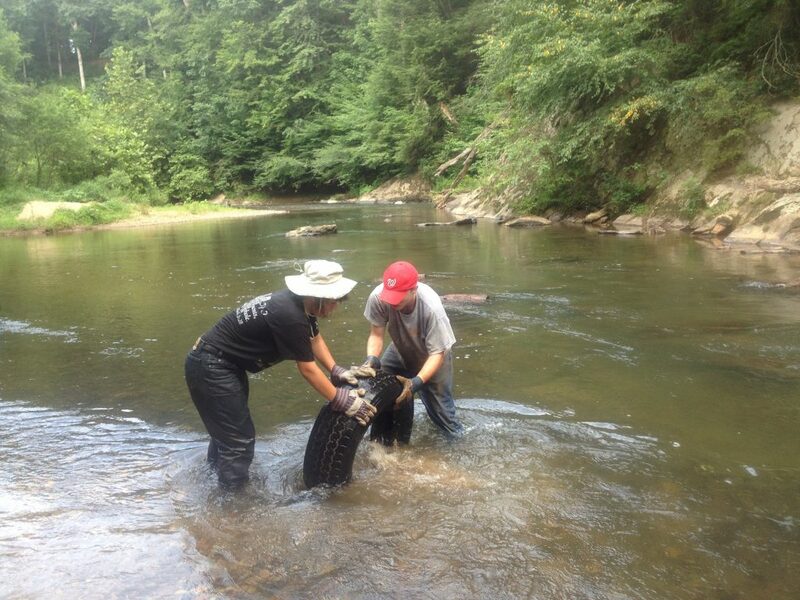 StreamSweepers is a program of the Center for Natural Capital, a 501 c-3 charitable organization in Orange, Virginia. And finally, we can never say enough how grateful we are to all the Supporters from past years that make this work possible.